Some circles must be packed into a minimal rectangle. 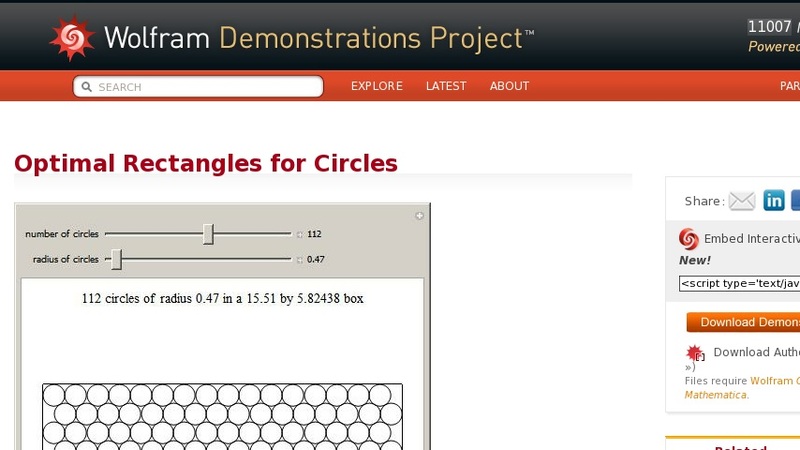 For 4, 6, 8, 9, 10, or 12 circles, the square lattice works best. Beyond that, the hexagonal lattice works best. Sometimes, as with 49 circles, a hexagonal layout seeming to miss a single circle is most efficient.